OIM course is as per IMO (International Maritime Organisation) Resolution A.1079(28) adopted on 4th Dec 2013. This course is applicable for non propulsion vessel such as Construction, Pipe-lay and Accommodation barges; Semisub and Jackup drilling units etc which use anchor to stay in position. 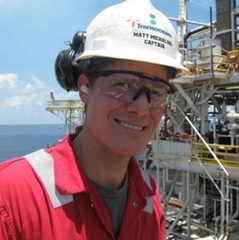 This course is open to any mid level / higher level offshore rig worker. This Course is Approved by Liberia (LISCR) Flag State. In addition, BCO course (MOU Stability) and at least IWCF Well Control Level 2 is required for OIM job. The objective of this course is to enable prospective and incumbent MOU OIMs to practice and implement the actions and procedures required to safely manage a MOU under operating conditions. The course is programmed to represent a variety of operational and emergency situations e.g. in transit, ballasting, positioning, jacking and loss of control situations, for a mobile offshore bottom bearing, self elevated unit (Jack-up Rig). The course leads to assessment of competence to the standard required by IMO for OIM of an MOU.